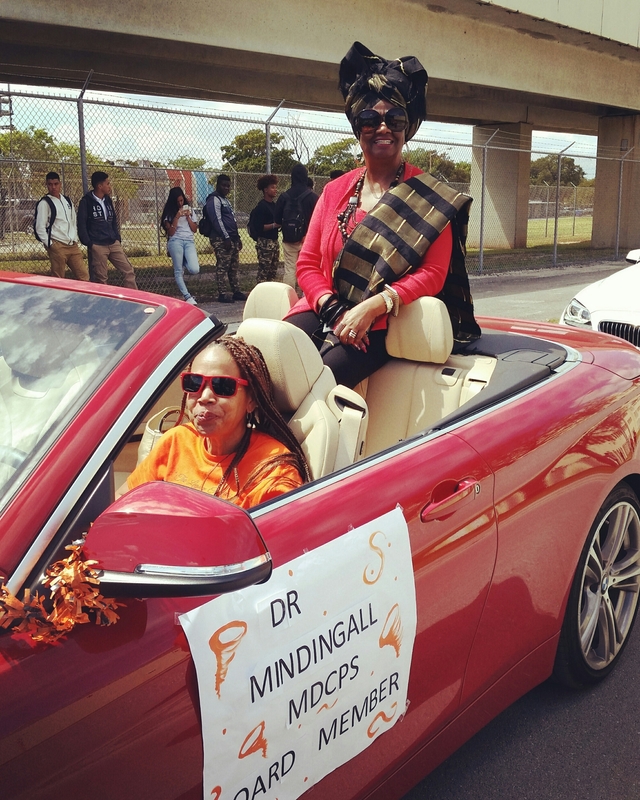 School Board Member Dr. Dorothy Bendross-Mindingall (D-2) was excited to celebrate the 90th Anniversary of Booker T. Washington Senior High School in Overtown. The Celebration began with proclamations presented by local officials to Principal William Aristide and BTW Alumni Association. Soon after, a parade featuring BTW Marching Band, athletes, student leaders, Miami Northwestern and Miami Central Marching Bands, FIU Education Effect and Junkanoos danced and marched through the streets of Overtown. Great job to Principal Arisitide, administration, Activities Director Kim Wright, teachers, staff, students, and alumni for organizing a grand celebration. Go Tornadoes!